The Mean Machine, Egidijus Kavaliauskas, is looking to cement his name as a welterweight to watch when he defends the NABF title against Juan Carlos Abreu, July 7 at the Save Mart Center in Fresno as the ESPN-televised co-feature to Jose Ramirez’s WBC super lightweight title defense against Danny O’Connor. The undercard will also feature heavyweight contender Andy Ruiz Jr. against veteran Kevin Johnson in a 10- round bout, 18-year-old wunderkind Gabe Flores Jr. versus James De Herrera in a six-round lightweight bout, and Andy Vences defending the WBC Continental Americas super featherweight title against Frank De Alba. Ramirez vs. O’Connor and Kavaliauskas vs. Abreu will be televised live on ESPN and ESPN Deportes beginning at 9:30 p.m. ET. The entire undercard, including Vences-DeAlba, Ruiz-Johnson and Flores-De Herrera will be streamed on ESPN+ starting at 6:30 p.m. ET. “This is my first fight in California as a pro, and I can’t wait to entertain my people,” Flores said. 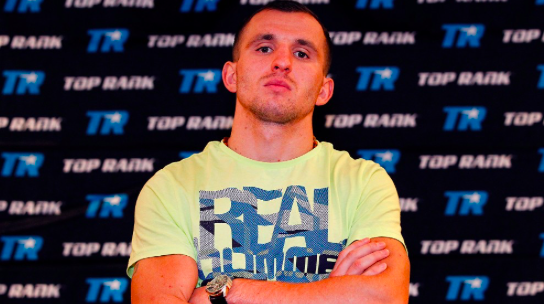 Kavaliauskas (19-0, 16 KOs), ranked in the top 10 by three of the four major sanctioning organizations, is on the precipice of a world title shot. A native of Lithuania who trains out of the Boxing Laboratory in Oxnard, California, Kavaliauskas has won four consecutive fights by stoppage. He won the NABF title last September with a seventh-round TKO over Mahonri Montes and defended the title in February with a sixth-round TKO over former WBA welterweight world champion David Avanesyan. Abreu (21-3-1, 19 KOs) has won two in a row since a split decision loss to then-unbeaten Alex Martin in June 2016. Ruiz (30-1, 20 KOs) is on the comeback trail after dropping a majority decision to Joseph Parker on Dec. 10, 2016 in Auckland, New Zealand. He took 15 months off after the Parker loss, but came back March 10 in Carson, California, knocking out Devin Vargas in the opening round. Johnson (32-9-1, 16 KOs) is a 15-year pro who challenged Vitali Klitschko for the WBC heavyweight title in 2009, losing a unanimous decision. Flores (8-0, 5 KOs), an 18-year-old recent high school graduate from Stockton, California, signed with Top Rank in November 2016 at 16 years old, becoming the youngest fighter ever to sign with the promotional company. He is seeking his fourth win of 2018, most recently scoring a four-round unanimous decision June 9 in Las Vegas on the Terence Crawford-Jeff Horn undercard. In his last bout, Vences (20-0-1, 12 KOs) fought to spirited draw against Erick De Leon as the ESPN-televised co-feature to the Oscar Valdez-Scott Quigg bout March 10 in Carson, California. De Alba (22-3-2, 9 KOs) is looking to get back into the win column following an eight-round majority decision defeat to O’Shaquie Foster on April 13 in Bethlehem, Pennsylvania. 19-year-old phenom Joseph Adorno (7-0, 7 KOs) will face Guadalupe De Leon in a six-round super featherweight bout. Adorno has six first-round stoppages on his ledger. 130-pound prospect Bryan Lua (5-0, 2 KOs) of Madera, California, will take on Sergio Ramirez (4-2, 4 KOs) in a six rounder. Lua is riding a two-bout knockout streak. Indio, California, native Ruben Rodriguez (2-0, 1 KO) returns to action after a nearly nine-month layoff against Richard Howell (2-1-2 1 KO) of Dallas in a six-round super lightweight fight. Super bantamweight Santos Ortega (1-0, 1 KO) will put his unbeaten record on the line against Ivan Martino (2-1, 2 KOs) in a four-rounder. Fresno native Manuel Manzo (3-6-1, 1 KO), winner of three straight, will look to thrill the home fans against Sergio Lopez (3-5-1, 0 KOs) in a four-round super bantamweight bout. 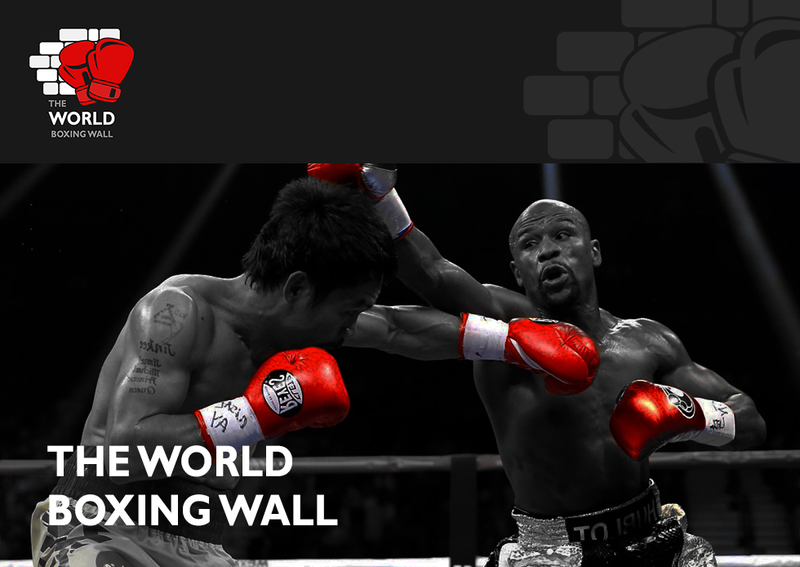 The ESPN+ lineup includes 18 exclusive, live Top Rank events per year, dozens of fights from other Top Rank undercards, an unmatched library of the greatest fights in boxing history, and two exclusive, original boxing programs: The Boxing Beat with Dan Rafael(Tuesdays) and In This Corner (twice monthly).